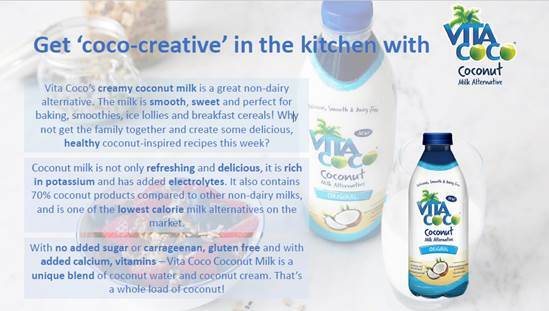 We were delighted to try the New Vita Coco Coconut Milk Alternative, a deliciously smooth and dairy free plant based milk it contains no added sugar and is lactose-free, dairy free and soy free. 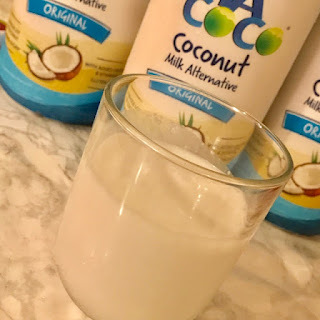 Vita Coco Coconut Milk Alternative is perfect served hot or cold and can be used for all your milk replacement needs from coffee, cereal to smoothies it can also be used in your dairy free cooking. 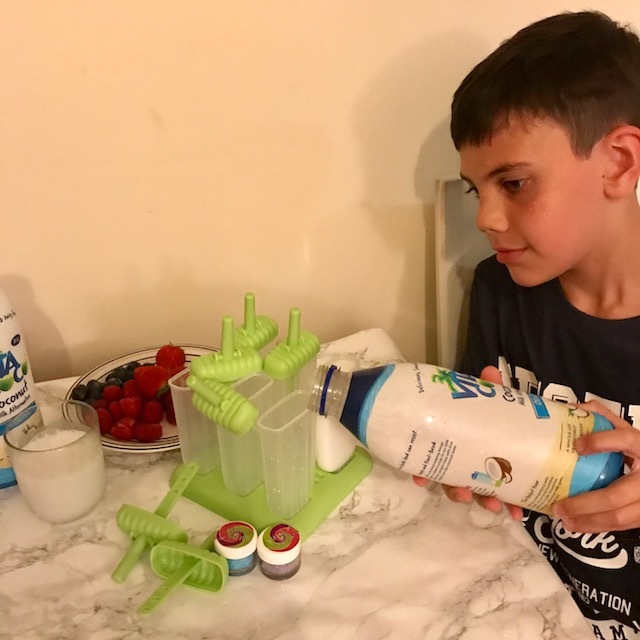 We couldn't wait to make some delicious popsicle's using Vita Coco Coconut Milk Alternative. Finely chop the fresh fruit and place in into the popsicle molds, fill the molds with the Vita Coco Coconut Milk Alternative and Freeze for a few hours or overnight. The Vita Coco Coconut Milk Alternative Berry popsicle's tasted deliciously fruity and smooth with a delicate coconut taste.